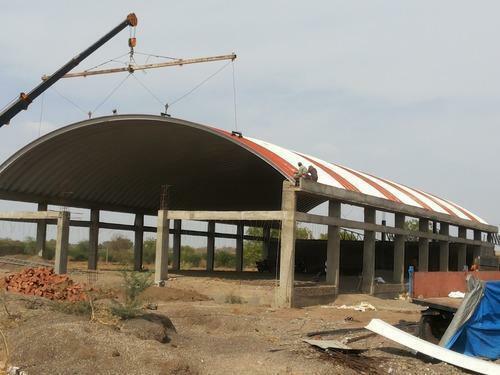 Leading Manufacturer of self supported roofing from Pune. Being a quality-conscious firm, we are engaged in offering premium quality Self Supported Roofing. The offered roofing is used at industrial places, site office, warehouses, etc. Under the supervision of skilled professionals, this roofing is manufactured using quality assured material with the assistance sophisticated methodology. Owing to its robustness and durability, this roofing is highly acclaimed by our clients. This roofing is made available in several specifications in the market. Looking for “Self Supported Roofing”?